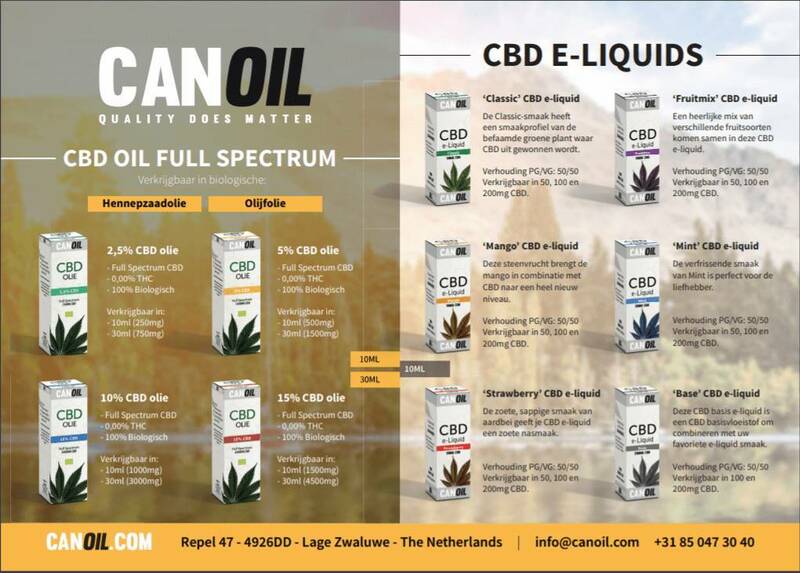 Canoil CBD Oil & CBD e-liquids flyer German (20 pieces). 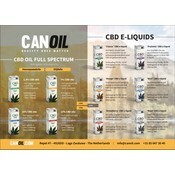 A flyer of Canoil CBD Oil and CBD E-Liquids. Check here our overview of the flavours of Canoil CBD Oil and E-Liquids. 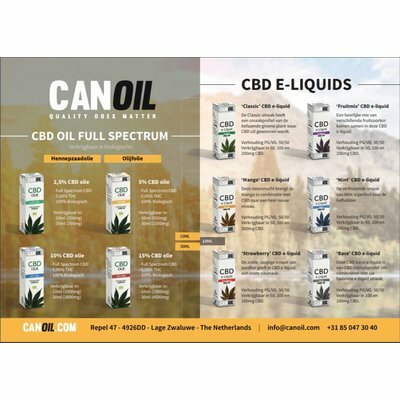 Canoil offers CBD Oil & CBD e-liquids flyers for shops and webshops that sell Canoil CBD products. This flyer contains the flavours and variations of the Canoil CBD assortment. This flyer is meant for the retailer who wants to inform their customers more about the possibilities of CBD.